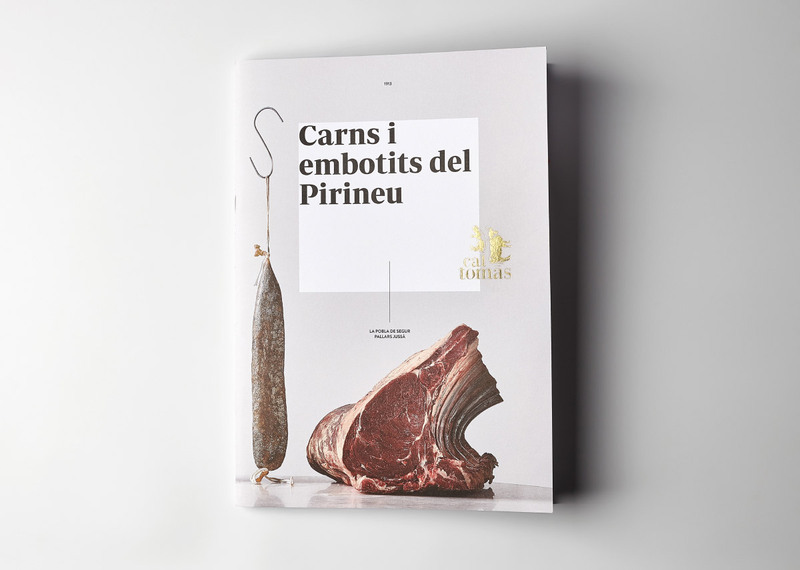 Cal Tomàs has commissioned us to design its catalogue and packaging line. 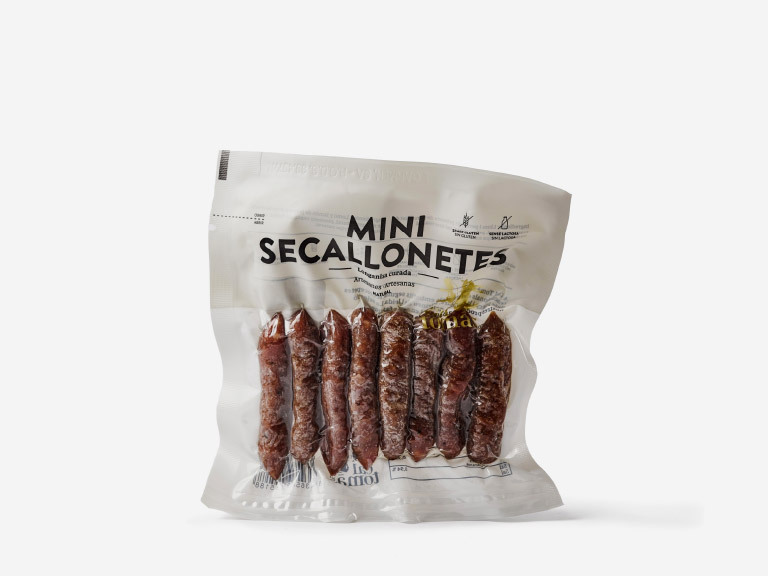 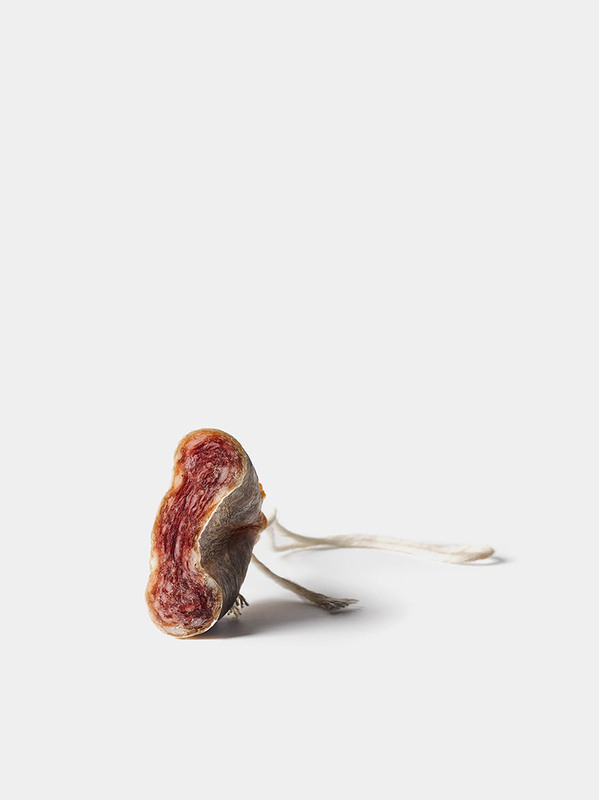 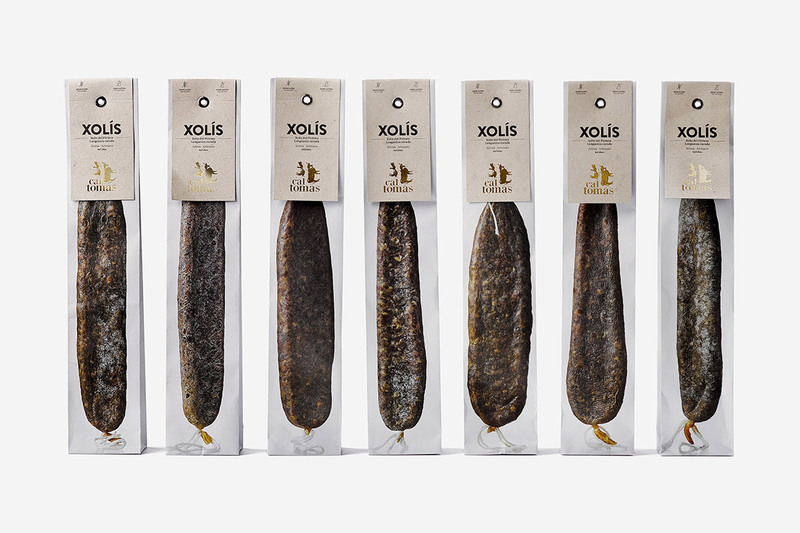 The new design aims to build up the perception of quality; we have differentiated it from most cured meat packs and improved the brand positioning in restaurant businesses in Barcelona. 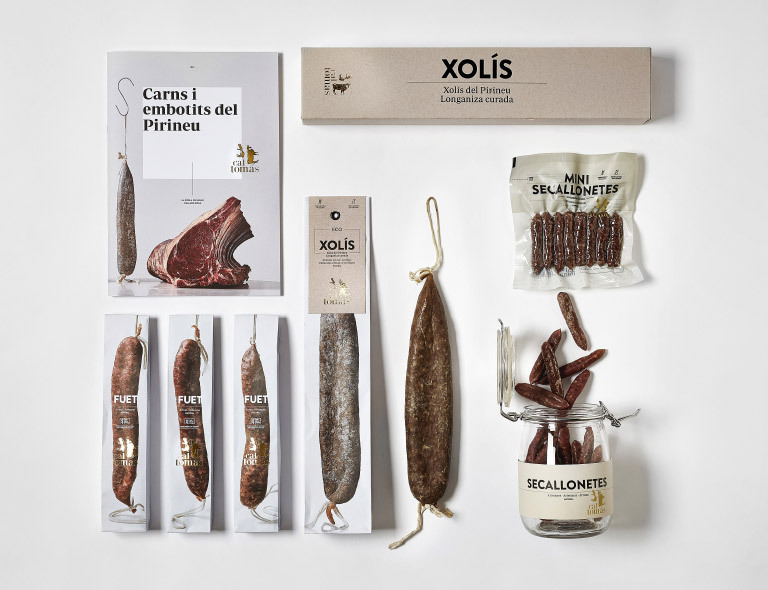 Cal Tomàs is a family firm founded in 1931 in La Pobla de Segur that produces high-quality organic artisan cured meats. 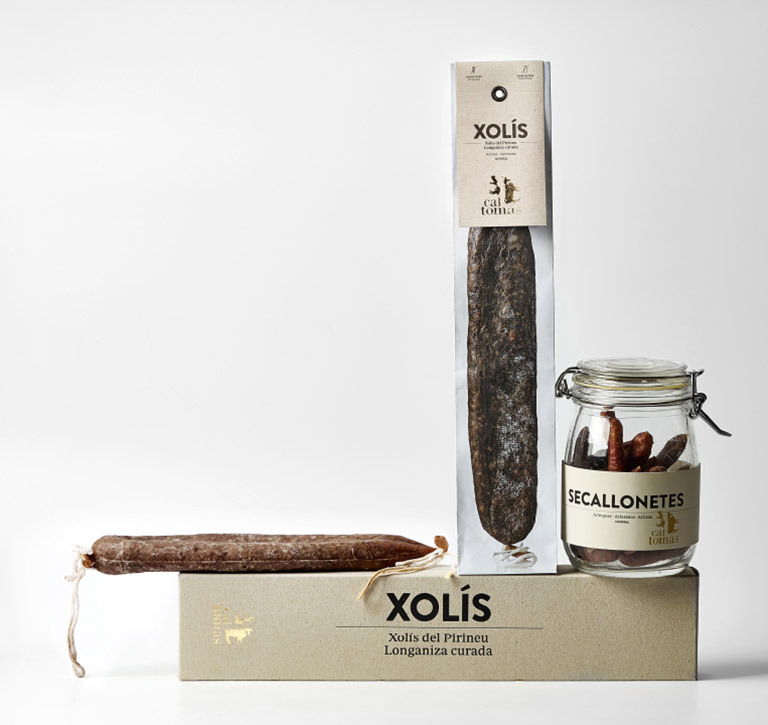 Xolís is a cured meat typical of the Lleida Pyrenees and the star product of Cal Tomàs. 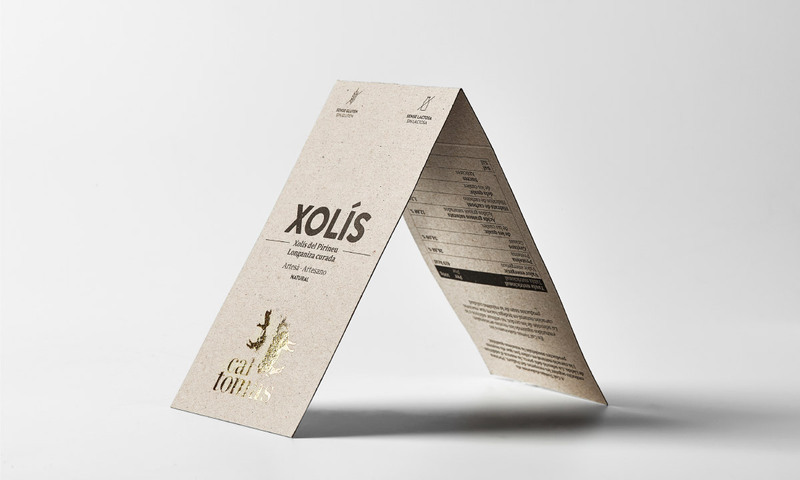 In the packaging design and materials, we set out to convey the climate and culture of the region. 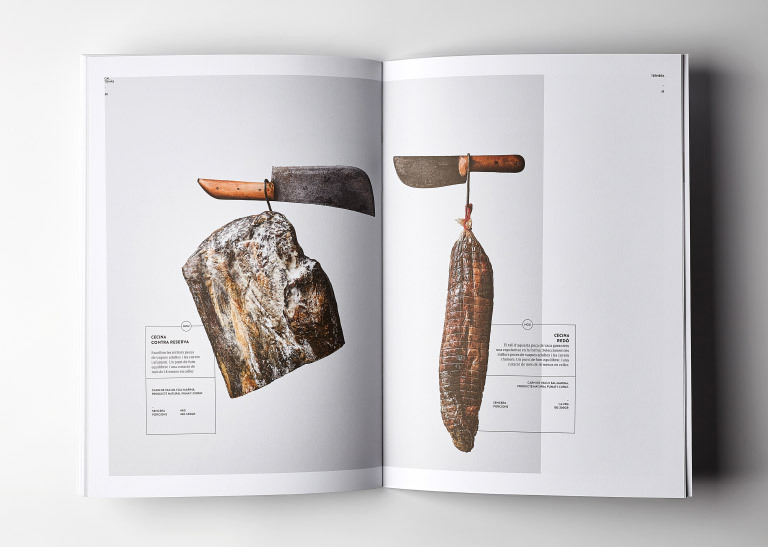 Feelings like the touch of wool, the cold of iron and the roughness of bark are represented in the combination of recycled cardboard and metallic print. 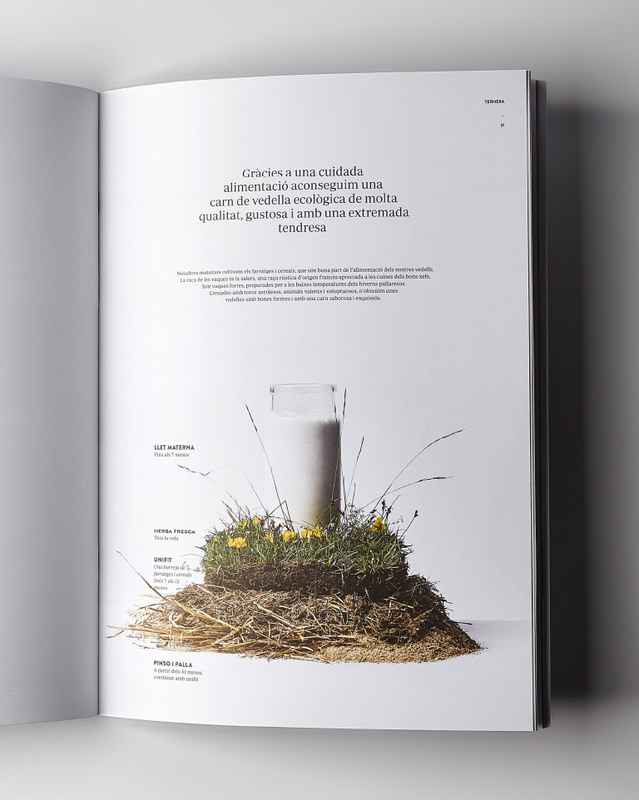 The graphic design accentuates the hardness of the climate by using hard fonts and printing all in black. 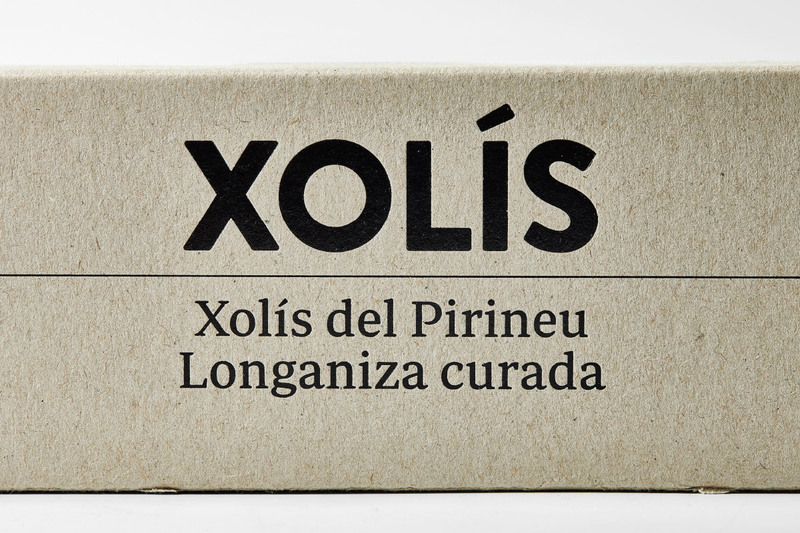 For reasons of storage, Xolís is vacuum packed. 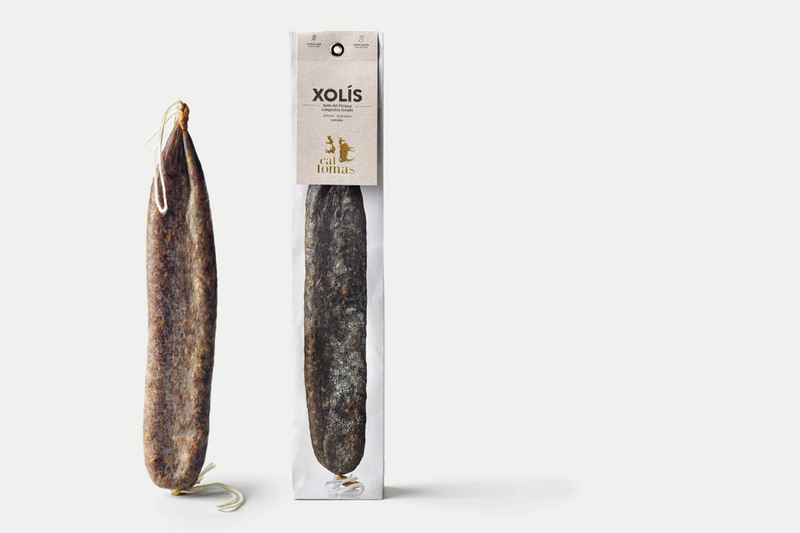 To avoid showing the vacuum-packed product, which is not very attractive, we put it in a paper bag. 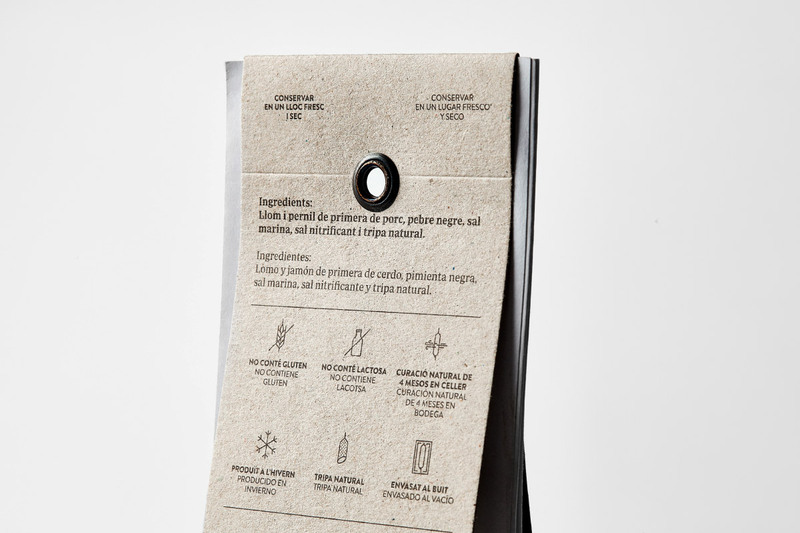 There are 7 different models of packaging, each with a recycled cardboard label and a photo of the product printed on the bag. 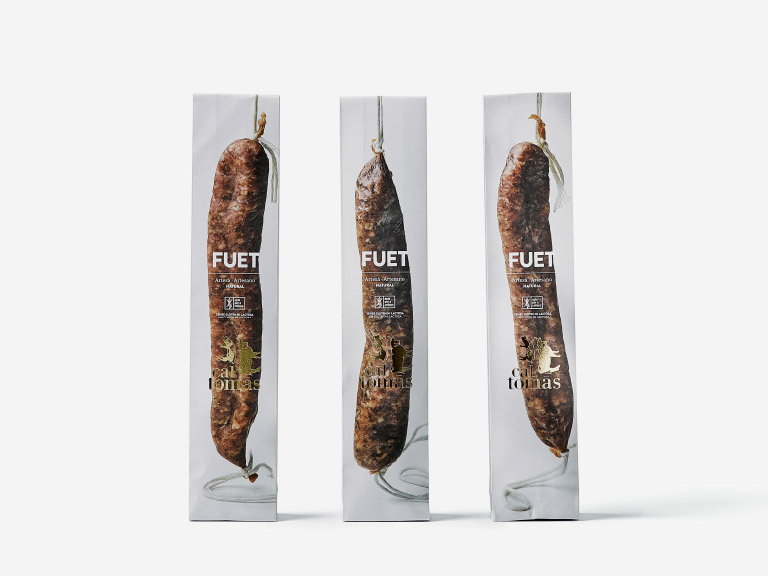 The result is ecological packaging that adds value to the product and gives it the image of natural, artisan cured meat. 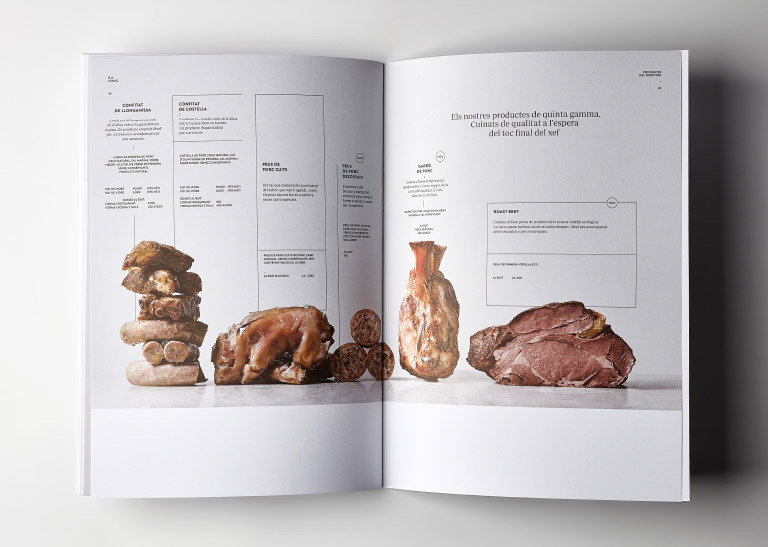 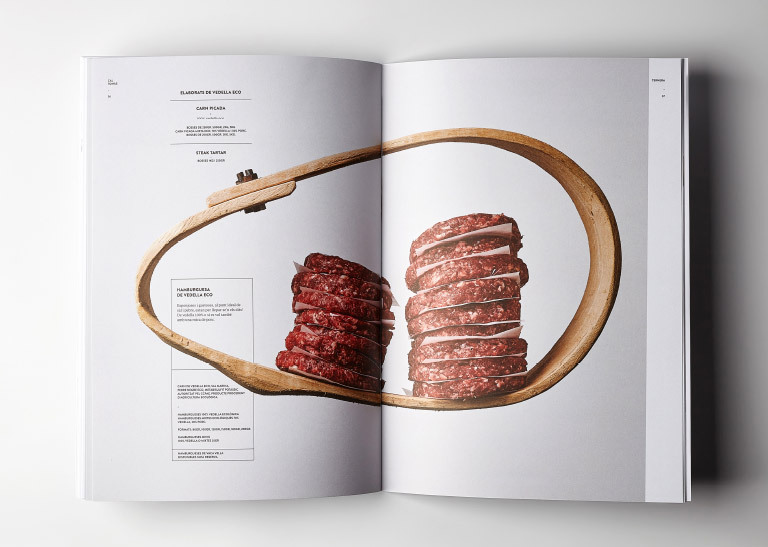 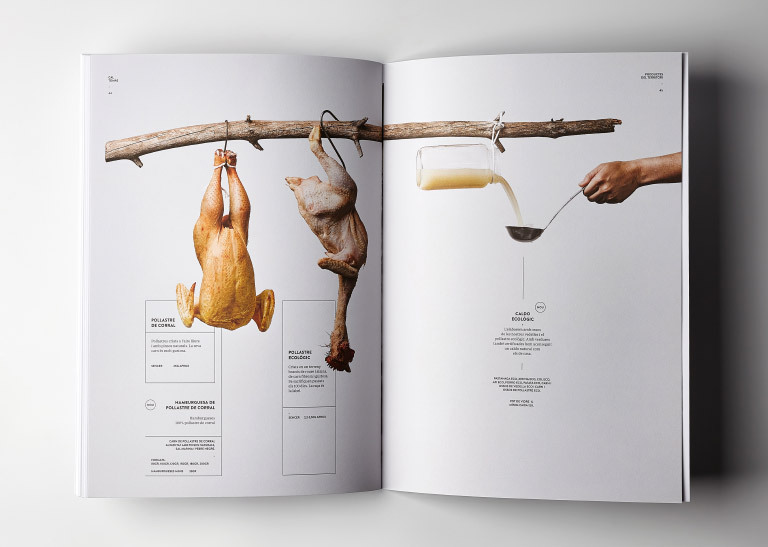 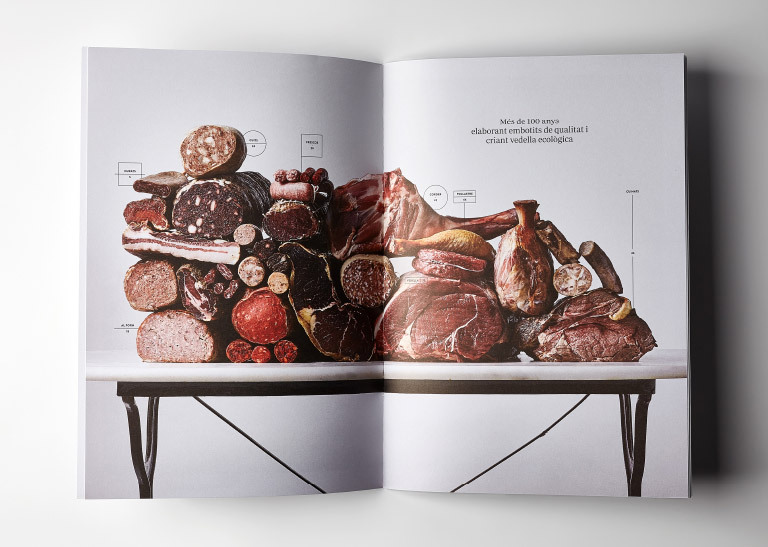 The art direction for Cal Tomàs is a major asset in the catalogue. 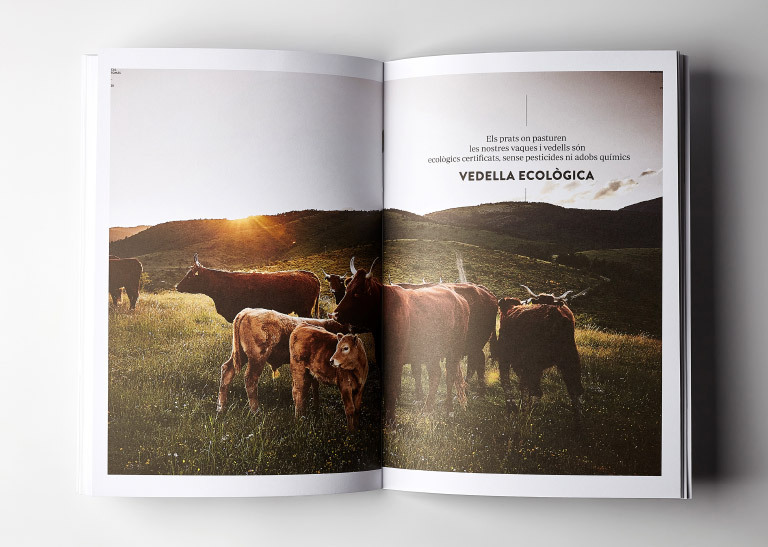 We opted to represent the climate and character of the Lleida Pyrenees. 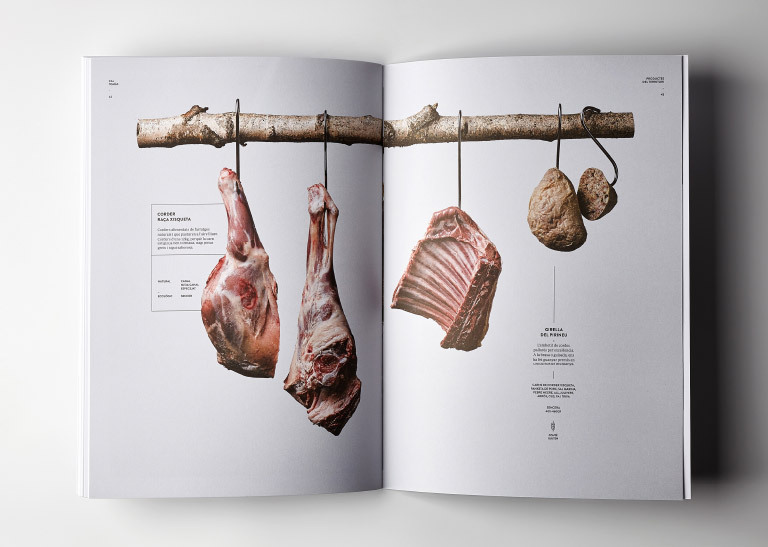 The meat is only cured in winter and in a cellar, so the cold plays an essential role. 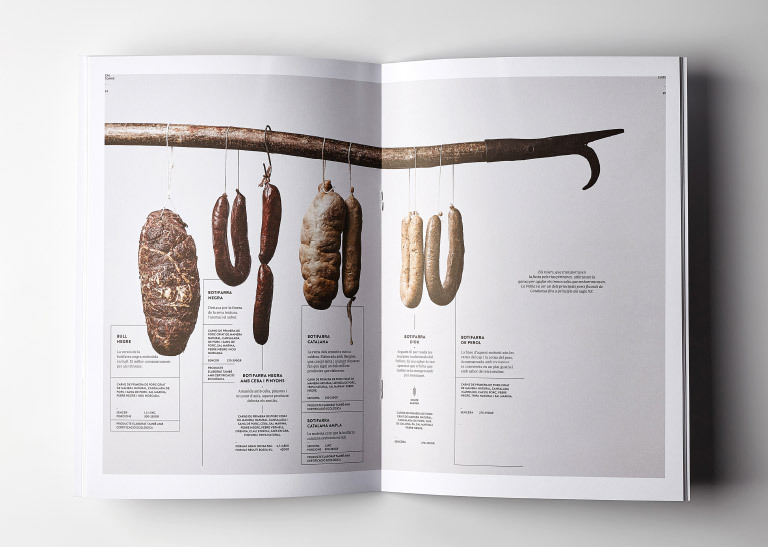 In presenting the ranges of cured meat products we avoided the classic rustic-style product shots that are typical in this sector. 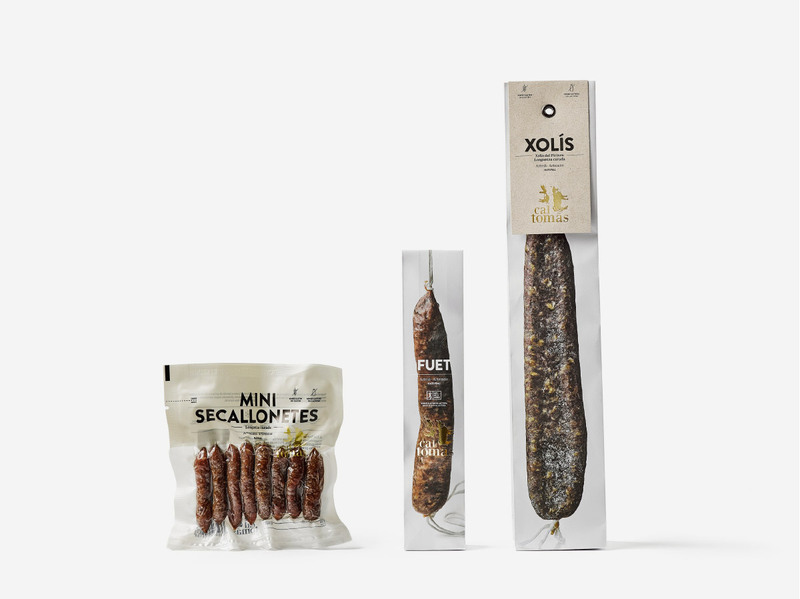 We created product shots with contemporary compositions and a clean, calm Nordic atmosphere. 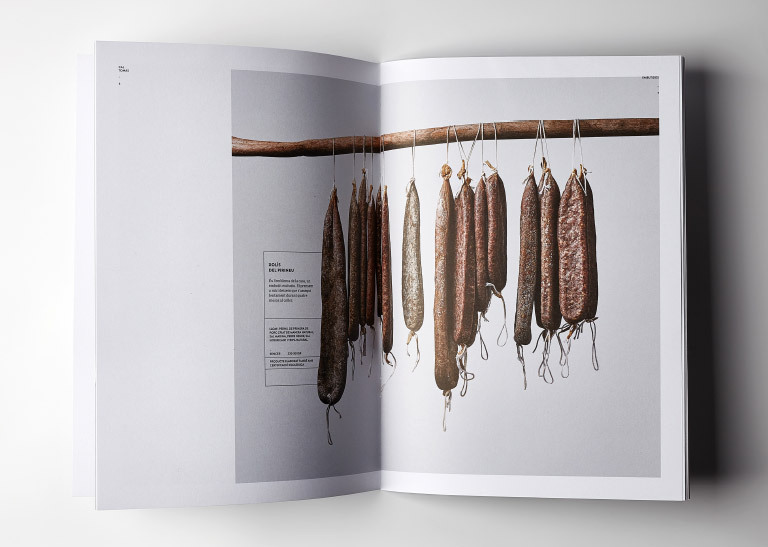 The photography in cold light and the hard-typographic compositions all in black relate to the product. 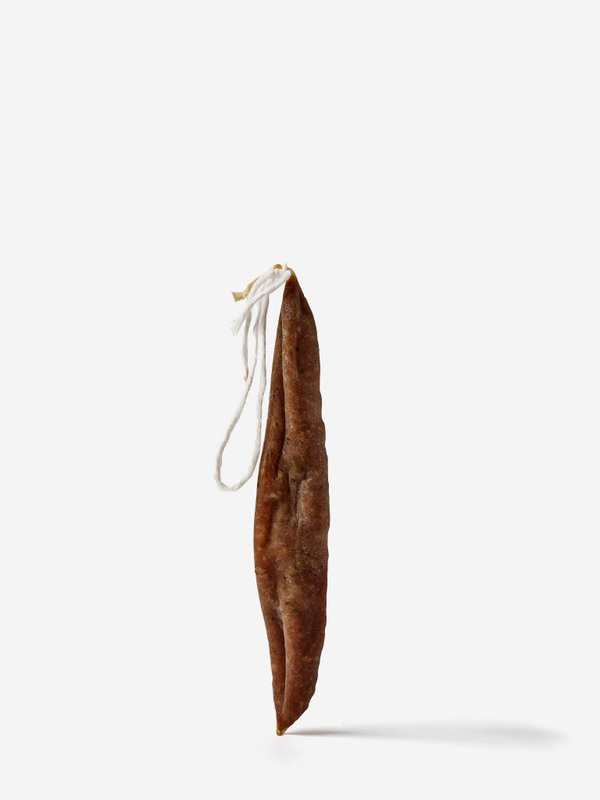 We present the products accompanied by props with clear references to the region, nature and traditions of the Lleida Pyrenees. 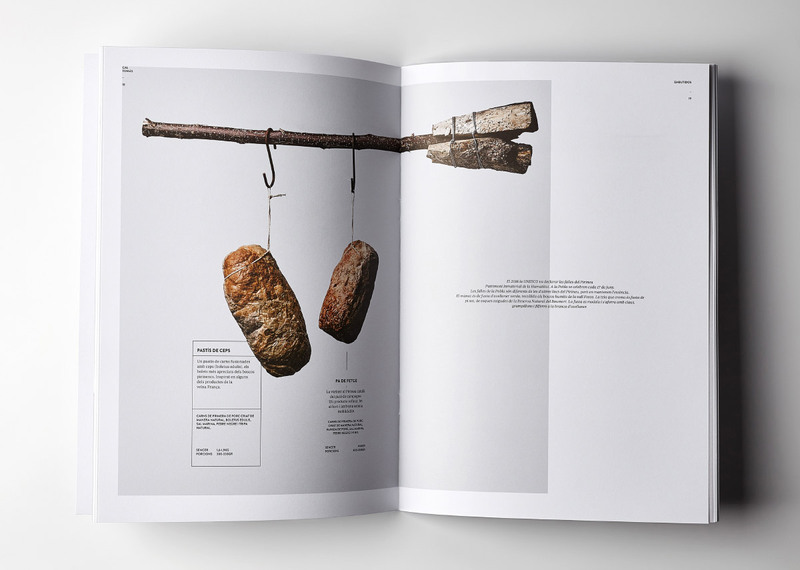 We use organic objects with textures, like tree branches, raftsman's poles, bonfires, forks and so on to create the compositions. 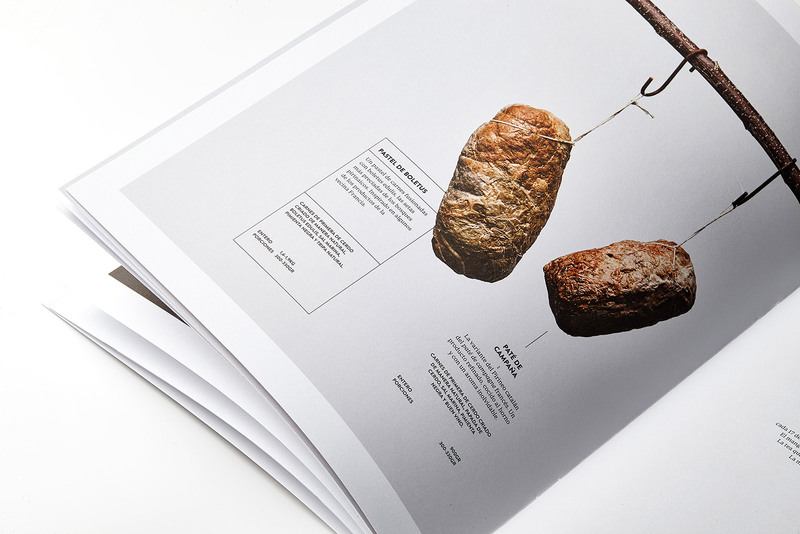 The catalogue is printed on a rough-textured paper.